We are very excited to let you all know that yesterday (on the rainiest day they could pick!) Crazy Daisy and CoCo had their babies. 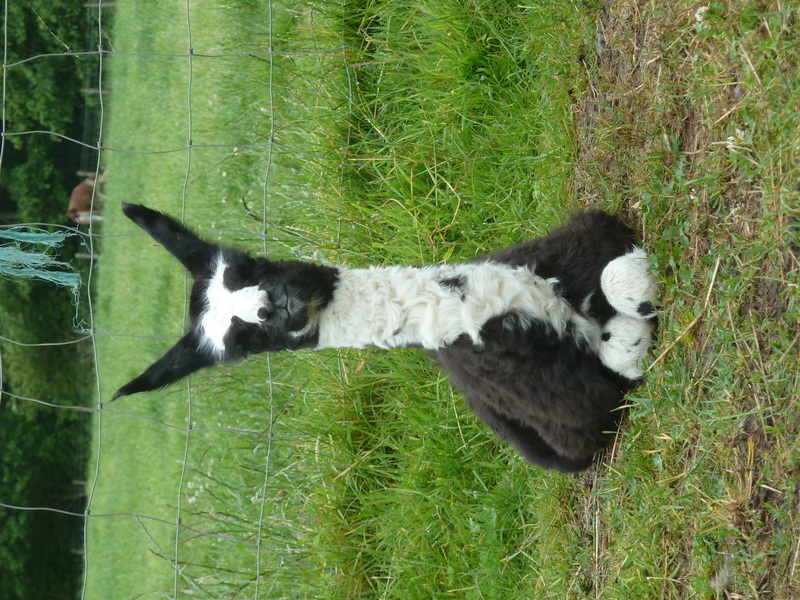 Both mummies and their lovely crias are doing fantastically well considering the wet start they had to life. 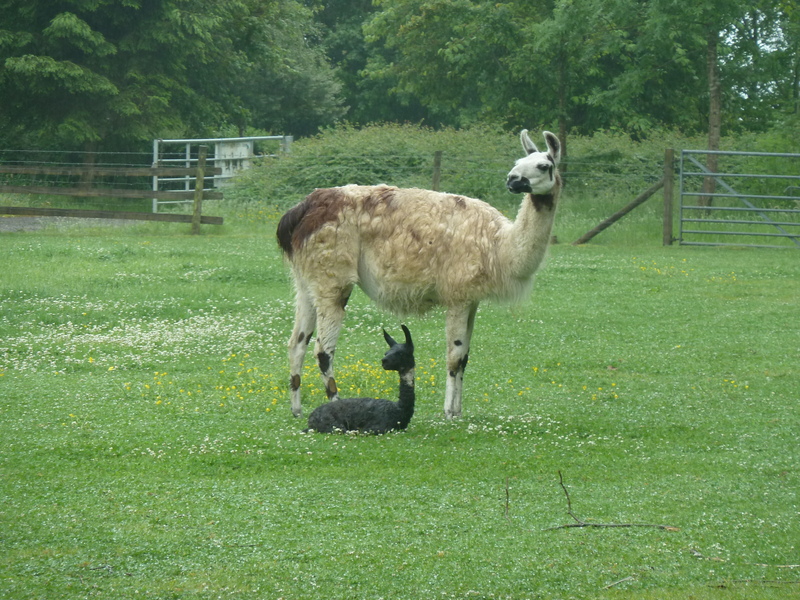 Crazy Daisy gave birth at 2pm and delivered a delightful little boy who we have called Charlie Mook. He has inherited his mothers comical look and brown bow tie but has added a pair of lovely white eye brows to complete the look! 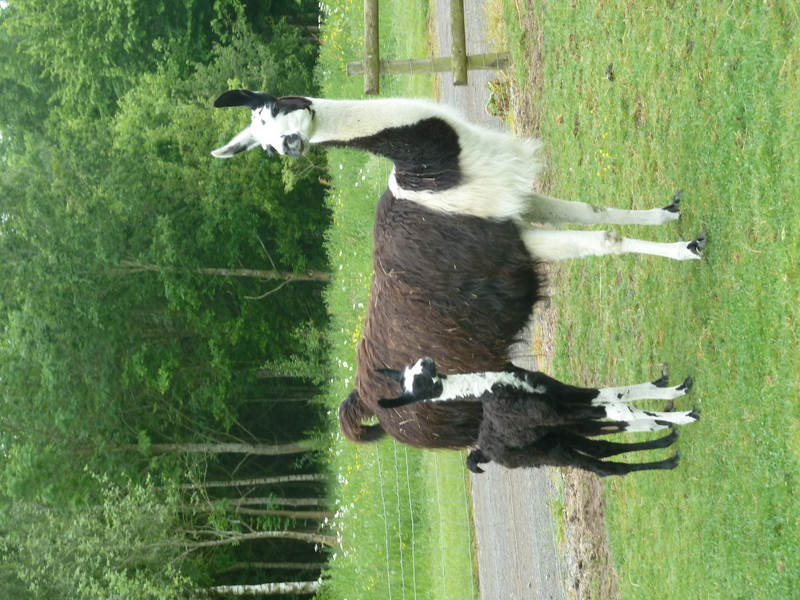 CoCo decided to wait until the rain subsided a little and gave birth 4 hours later at 6pm and had a lovely big strong girl who we have decided to name Darcy. 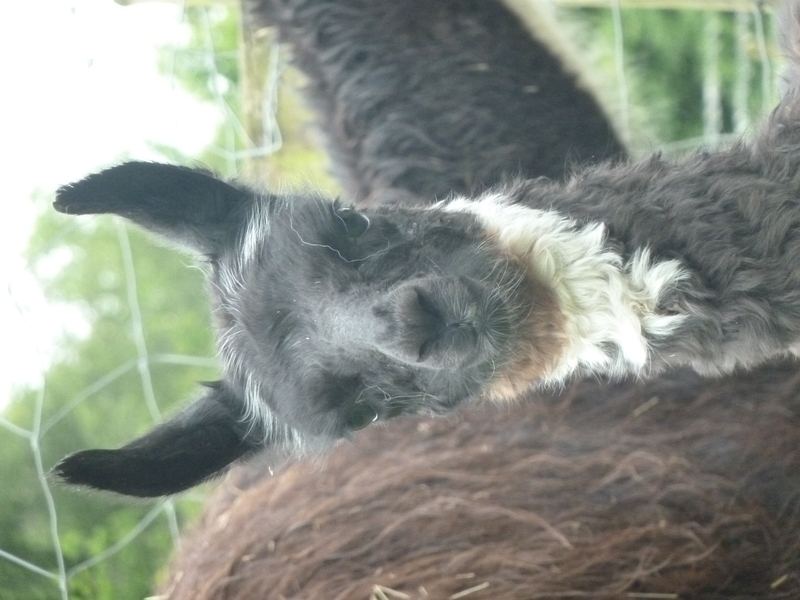 She looks very much like her mummy and is quite a bit bigger than her new play mate Charlie Mook. So without further a do we now introduce you to the newest additions to Catanger Farm; Darcy (left) and Charlie Mook (right)….